Stephen Cass, a Rochester native, knows how important finding the perfect place to call “home” is, whether for yourself, your family or your business. He also knows just how daunting finding or selling that home can be. Stephen’s goal is to help you navigate the complicated process of finding or selling your home or commercial property, giving you more time to focus on the exciting parts of your new adventure. 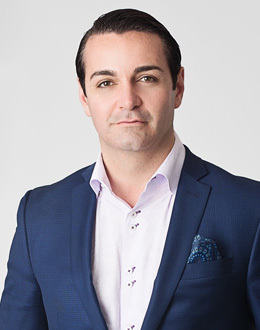 With a background in business management, insurance and banking, Stephen has a thorough understanding of the legal and financial aspects of real estate. This experience, combined with a meticulous attention to detail and a passionate, client-centered approach, allows him to consistently exceed his clients’ expectations. Stephen and his partner of seventeen years, Jason live in the Houston Barnard neighborhood in Brighton with their two French bulldogs. He is actively involved in the Rochester arts and nonprofit community, including Rochester City Ballet, Young Entrepreneurs Academy, Monroe Community College Foundation, and currently sits on the board for Juvenile Diabetes Research Foundation. In his free time Stephen can be found seeing a movie, working out, swimming, traveling, enjoying great food out or just relaxing at home. Buying, selling or renting property is an adventure no matter how many times you have done it before. Stephen wants to help make it an exciting and stress-free a time for you. He doesn’t just want you to like your new place – he wants you to LOVE it. Working together, he can help you make that happen.